Are you planning a trip? It’s very tough to remember each and every minute details of the trip orderly till the last minute (remember the grain of sand slipping in between fingers) and many a time the plans are bound to fail due to lack of tracking. Nothing hurts if your plan the trips beforehand. If you are browsing for such help, thanks for stopping by. 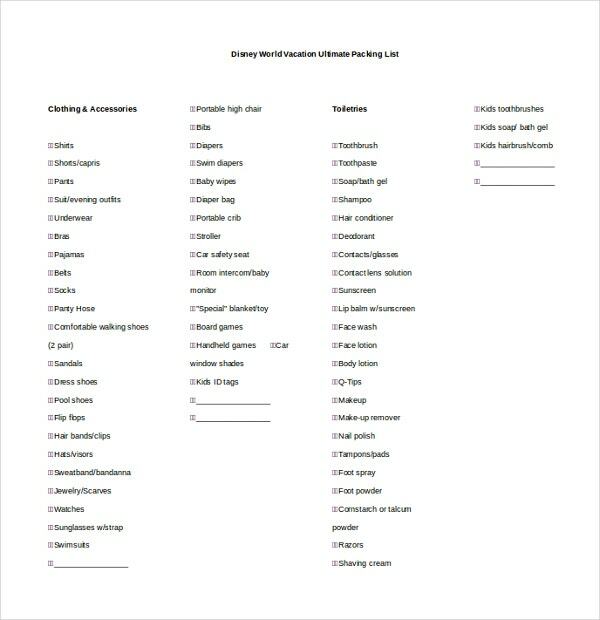 Our itinerary templates are super helpful in this regard. They fit your requirements just like a glove. 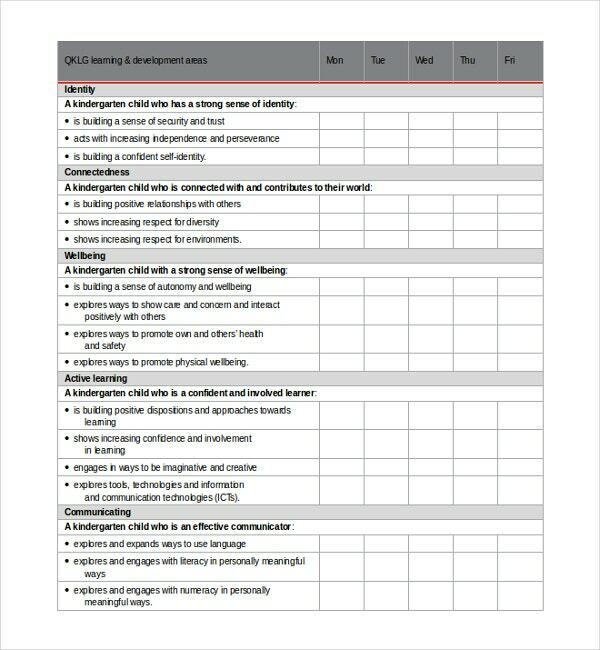 Instead of just jotting them down on a paper, use our professional templates. We will simplify your places, events, and description. 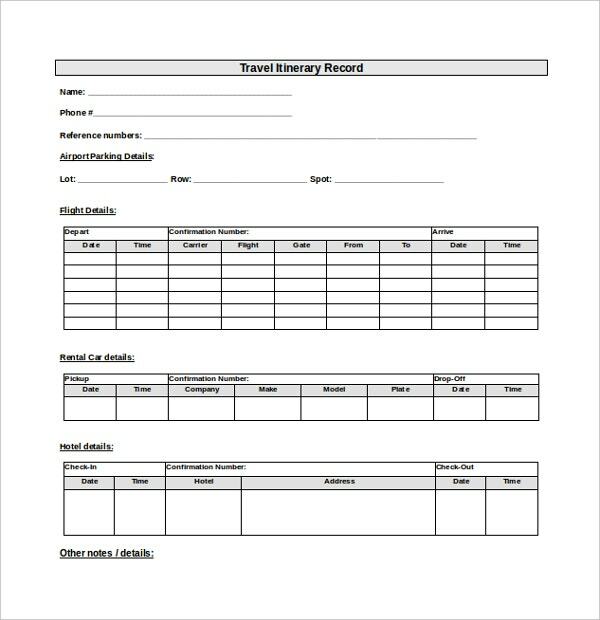 Right from the flight and car rentals to hotel details, meetings, and the places, everything and anything related to your visit can be entered and tracked with our templates with a sense of order. You can handle and manage multiple trips at a time. We bring the effectiveness. Just like your planning, our sample templates cost nothing. 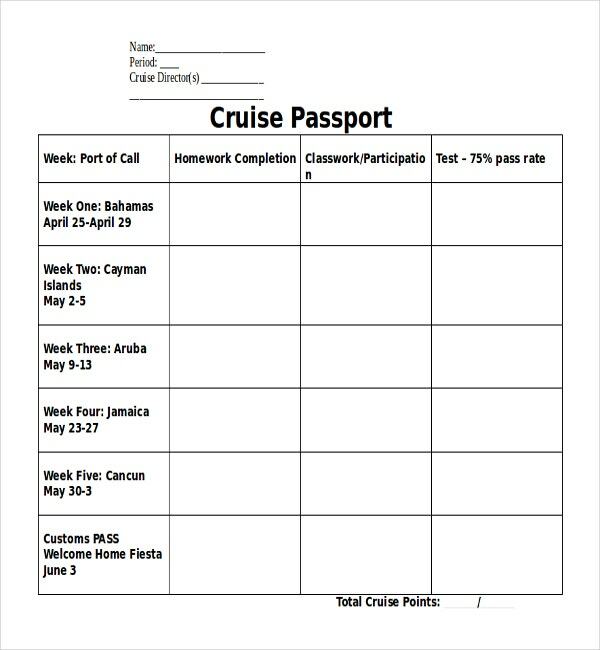 Save the spreadsheet on to your mobile and have an unforgettable trip. 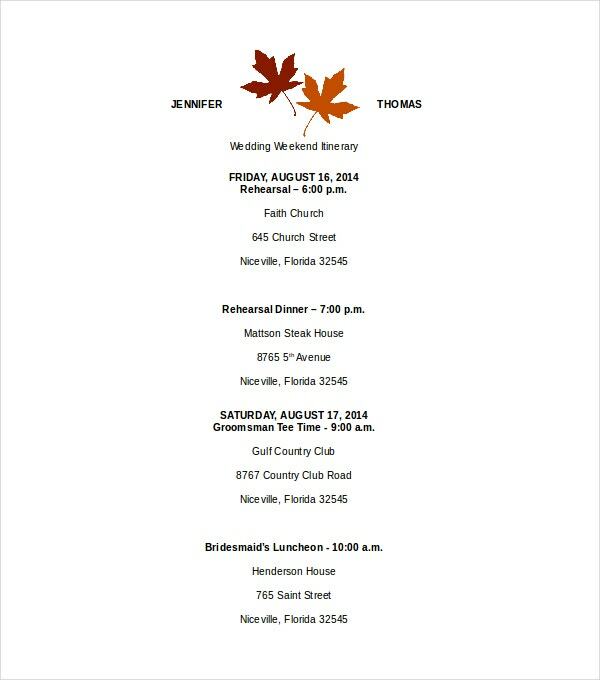 All our templates are highly customizable and print-ready. 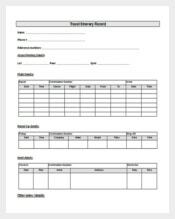 Our itinerary templates are best to travel management tools. If you are vacating abroad, then the to-do list would be obviously more than the normal trips. 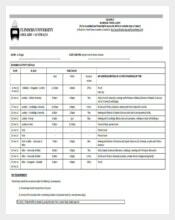 You can even interchange your schedules within your trip using our templates. If you are a first time visitor to a particular city and is baffled about the planning, you can use our pre-defined itinerary templates for about thousands of cities worldwide including Shanghai, Hong kong, Singapore, Tokyo, Jerusalem, Washington D.C., Chicago, California, Paris, Madrid, Edinburgh, Amsterdam, Capetown, Barcelona, Venice, London, Bruges, Prague, Rome, Dublin, Stockholm, Dresden, Sydney etc; All our Templates are nicely assembled with a lot of pretty pictures and blurbs about fantastic destinations. With our templates, planning is not an uphill task. Instead of oscillating between the last tour’s failure and the next tour’s uncertainty, rely on our itinerary templates. Our templates are available in Word, excel, and PDF. When the whole trip is laid down on our template along with the time frames, then chances are less for the plans to bounce. Have an upcoming travel holiday or a full-fledged long business trip? In order to make sure that your travel plans work out just right and the way you want them to, it is a good idea to have and carry a travel itinerary around with you. That way you will not miss out or forget anything important related to your travels. And no you don’t to go look too far to look for a travel itinerary sample because we have compiled some selective bests right here for you. Our business travel itinerary templates are nice to have things while you are on tour. They also will be used as checkpoints. Once you are done with the tasks in the checklist one by one, just tick them so that you will be worry free. 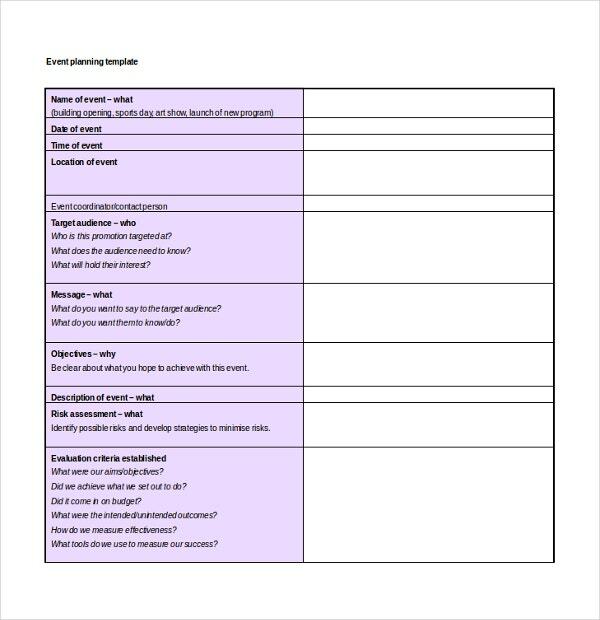 The entire business travel itinerary template is incredibly easy, it is free to use, and it takes only a few minutes, so why don’t you try it out and make a simple itinerary for your upcoming business trip? Just have a look at our versatility. 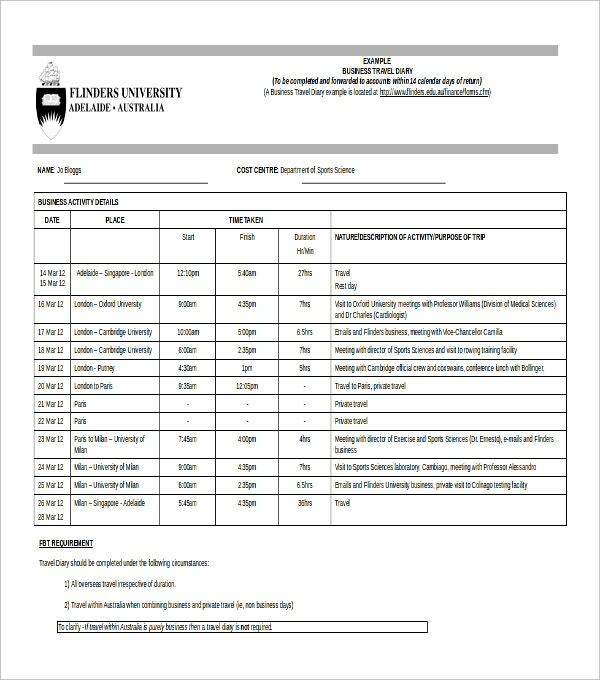 If you are oblivious or a person with short time memory loss, just download a copy of our template, get a print out of that and keep it with you and there would be no need to open your mobile middle the road to check your next plan. 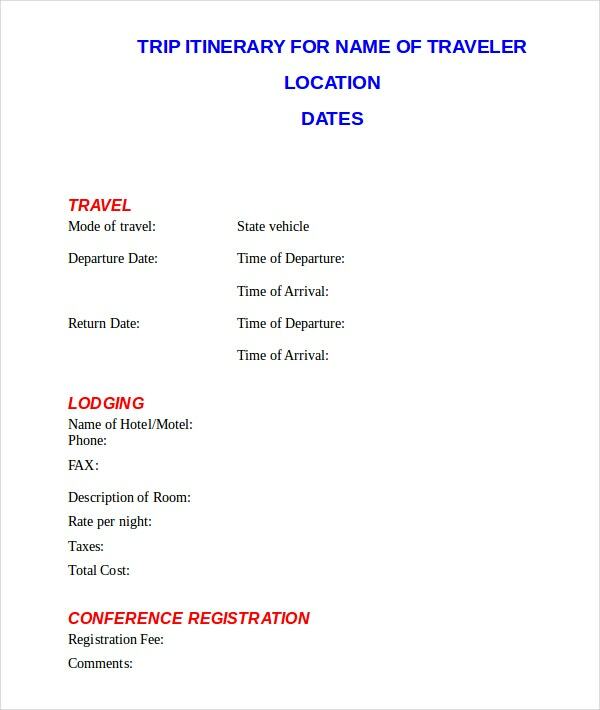 Use our Event Itinerary Templates in the first leg of your tour. They are like studying your events in the trip. Believe in us. You will never face any issue converting the docs from one platform to another platform as all our documents are having greater compatibility. Tell you what is the wisest thing to do when going on a holiday or business trip? Preparing a detailed travel itinerary beforehand, it always helps and saves the day. 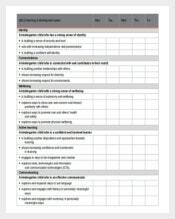 The templates featured here are compatible with all the standard programs – MS Word, Excel, PDF. 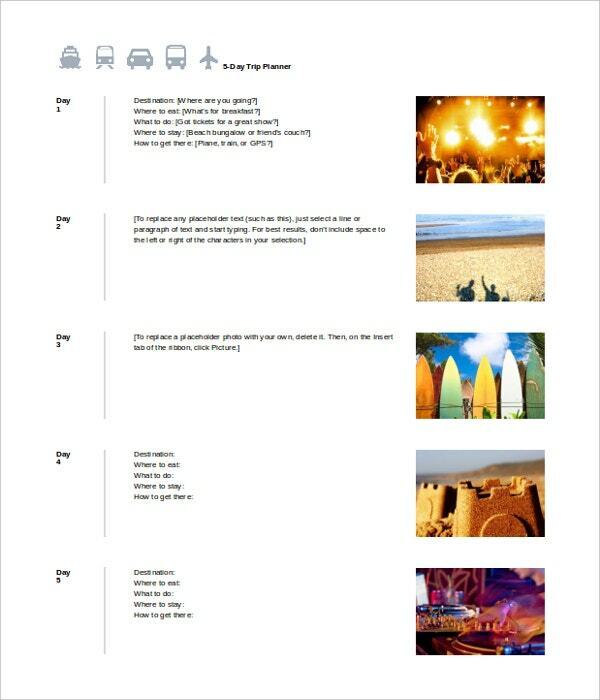 Download travel itinerary templates and make your travels and trips memorable! 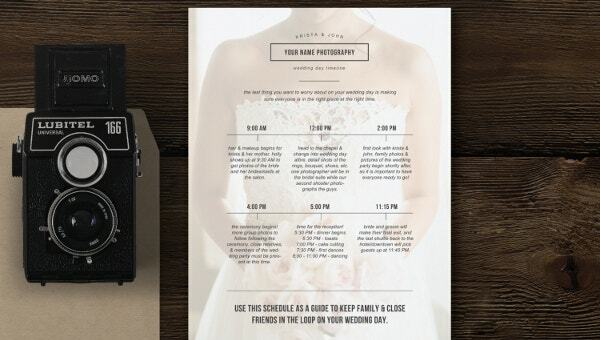 Wedding itinerary Templates making may eat your precious minutes but in results, it will give you the stress-free experience of the wedding so don’t worry much and make a wedding itinerary for individual with this wedding vacation itinerary template. Today is the day. 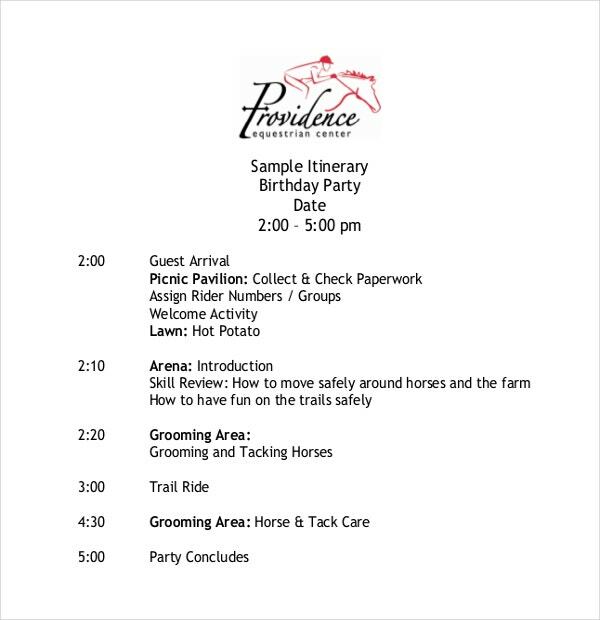 Our Birthday itinerary templates are editable so every element of the image can be edited or deleted plus you can add new layers to customize the graphic for your trip. With our new incredible Birthday itinerary templates, you will be totally in. That way you can count us in. Don’t procrastinate it anymore. Let your hands guided by a mysterious force. Our new templates plague you to write new ideas for your Birthday itineraries. Download our sample vacation itinerary templates and save a copy in your mail. It will be helpful if you lost the hard copy and the one on your device. You can see a lot of work goes into preparing something that looked good along with a high-level overview of the trip. If you’re taking your family or group of students to visit Disneyland, it would be a very wise and good idea to have a Disneyland travel itinerary ready in-hand. As you already know Disneyland is an amazing well-spread out venue, and there may be many stopovers along the way, why not jot in down in one of our Disneyland travel templates? Those who love Disney as much as we do really understands the passion involved in planning out the days. If you really love the templates, please take some time out to appreciate our work in the comments section. It’s a fact that things become easy when you have something like this in hand. And the exciting news here is that editing the templates is pretty easy and accessing them on various platforms too. From canoeing and rock climbing to emergency response plan such as where to meet, if lost in the woods – everything and anything related to your tour can be eked out and meted out to your team members. Our designers have brought up their years of experience to assure you that these are efficient trackers undoubtedly. Have a trip to our website and let the gravity of our templates drives you crazy. A meeting schedule must be readied at whatever point you are going to orchestrate any meeting. Such a schedule encapsulates the time, date, venue and reason for the meeting and ought to be coursed among all attendees. 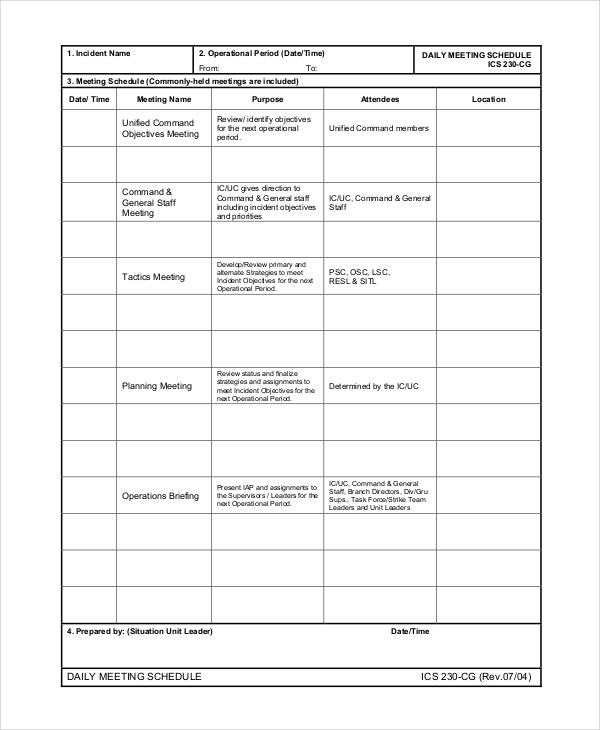 The meeting agenda, in this manner, ensures that the meeting participants have clear data about the area and timing of the meeting and would be helpful on the off chance that any of the participants overlooks the venue or time Event Itinerary Template. Make a mix and match of places. In other words, your itinerary should be a good club of crowded cities and downtowns. Also, plan in such a way that your valuable time will not be killed in waiting at airports and at lounges. You can utilize that time for something fruitful. For example, if you are off to Europe, meticulous planning is not only preferable but also comes as high priority. Otherwise, your freedom suffers a lot. Because, if you spend two days in Poland, you may not step down in the Netherlands. However, at times, your plans may not go well in reality due to the weather and many other reasons. Think about the circumvents if you struck in the midway.If you are a party animal, browse for the festivals in the midway. Many European nations allure the tourists and visitors with fests all calendar year. Check out the discount offers the flight services and train services are offering. It saves a lot of your bucks.